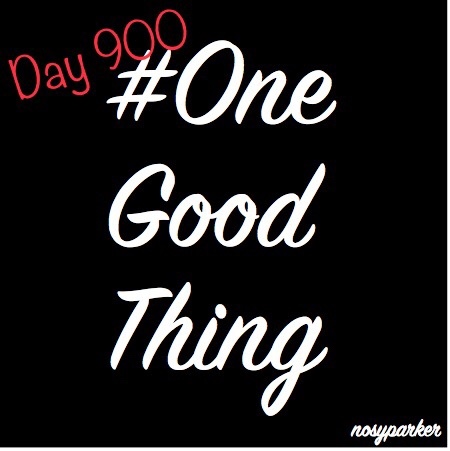 Today’s #OneGoodThing is reaching the 900-day milestone of finding and writing about surprising silver linings. I hope this blog project has helped you recognize something good in whatever challenges you face. Day 169 of 365. And Day 900 in a row (here’s the first 366 & the following 365)! Well done! Your blog is a haven in a sea of despondency, often, when I’m feeling down and ready to kick out at someone, anyone even, I think, let’s go and see what piece of light Gabriana has found in the dark!